This week saw the announcement of the first Jolla phone with the Sailfish OS installed, Ubuntu for Mobile is still moving forward, and various phones running Mozilla’s Firefox OS were on display at Mobile World Congress. 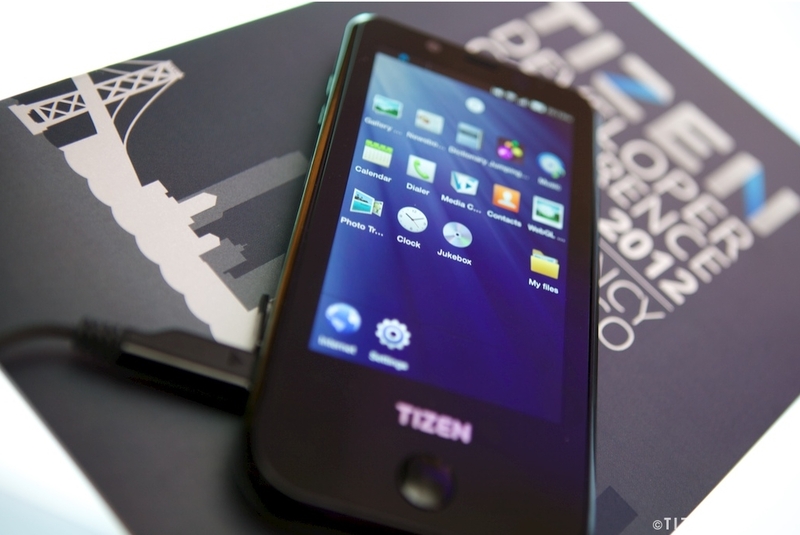 But what about the new smartphone OS with the big names behind it, Tizen? It was a no-show at MWC, and although there has been sporadic talk of some special hardware since then, nothing has materialized. That could all change very soon, in fact, it could change later today if the rumors turn out to be correct. The 2013 Tizen Developer Conference started two days ago, and is scheduled to end today, but not until Samsung reveals the world’s first smartphone running the new platform. Now, this is unconfirmed, and while several sites link to an Indonesian Tizen website as the source of the rumor, with the help of Google Translate it seems either the post has been removed, or is a mistranslation about the appearance of the latest version of the software, Tizen 2.1. There’s also no mention of a Samsung/Intel presentation scheduled for today on the official event website. However, there’s still some Tizen phone news coming out of the developer conference, as a Samsung executive who is a member of the Tizen Technical Steering Group, is quoted as saying, “Tizen-based products will come out very soon.” Other reports say Samsung considers Tizen 2.1 to be release-ready, and the first Tizen phones will go on sale in Europe and Japan during the third quarter of 2013, perhaps as early as July. This approximate release date has been touted for a while, as in March, a Samsung executive told Bloomberg a Tizen phone would be out in August or September. He also said the phone would have, “The best specifications,” leading many to expect the device to match the Galaxy S4 Android flagship phone. Subsequently, the model numbers GT-i8800 and GT-i8805 have been linked with the device. So, while there’s still a chance we’ll get to see the first Tizen phone revealed at the developer conference currently underway in San Francisco, we’d have expected a little more fanfare to celebrate its arrival, and if the late summer release holds true, there is still plenty of time for Samsung to call a special Unpacked event where the phone can be unveiled in style.